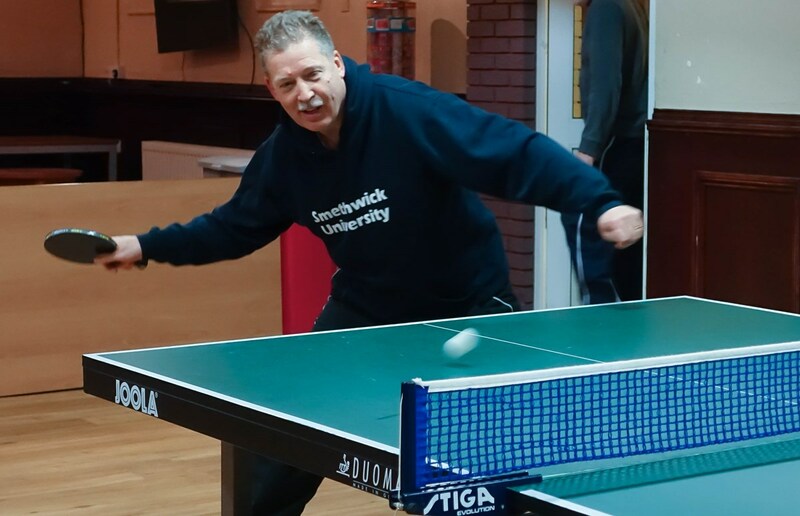 TYC Retros continue to dominate at the top of Division One of the Tamworth Table Tennis League notching up a 7-3 home win over Curdworth Wheelers Pingers. Michael Bree led the way winning all his matches and took the doubles in four with Andy Jackson. Jackson added two singles wins in support and Aimee Evans scored once. Lee Bradford hit two in reply for Pingers with Dawn Sagoo taking a single. It was a closer run affair between Lichfield Jets and Netherseal Willow which finished 6-4 in the Jets favour. Jameel Mann’s treble and doubles victory with Mark Balant proved decisive. Brian Beer claimed a pair for Willow with Andy Walker and Liz Merrick adding a point-a-piece. Netherseal Cedar reign supreme at the top of Division two helped by their 8-2 win over Hopwas A. The match was played with sportsmanship and good humour and does credit to the league. Ian Perry was star player for Cedar remaining unbeaten on the night. Gary Carr and Aubrey Henry added two points each in support with Perry and Carr taking the doubles in three. A point-a-piece from Karl Oliver and Alan Mcloughlin ensured the Hopwas side collected points from the tie which could be crucial in the push for promotion. Lichfield Knaves emerged victorious in their clash away to Rugby Oddballs winning 8-2. Anna Tomczuk and Neil Lehane both helped themselves to hat-tricks. Alan Thorne helped out with a point and combined with Tomczuk to secure the doubles. Dave Storr and Kevin Wright both scored singles for Oddballs. Rugby Kings slipped to a 6-4 reversal away to Lichfield Musketeers. Doubles for Roger Willets, Chris Latham and Rob Wooton sealed the win for Musketeers. Johnathan Pilling played well for his brace for Kings and took the doubles with Dean Snowden in five. Snowden added a point from singles play. In Division Three two points from Ian Sketchley and a single from John Brookes proved insufficient to prevent Spital Mondays going down 7-3 away to leaders Netherseal Ash. Graham Clarke was in sparkling form for Ash with a maximum and four set doubles win with James Farmer. Farmer also bagged two singles wins and George Parry one. Lichfield Rockets had an impressive 8-2 win over Netherseal Birch thanks to maximums from Steven Thomas and Chris Davis with Claire Sykes adding a pair. Birch’s points came courtesy of a Mike Harker single and a Harker/Roger Whiting doubles triumph. Kingsbury Cruisers turned in an impressive performance to edge a narrow 6-4 away win over TYC Talentz. Andy Brown was in great form for Cruisers with three supported by Isobel Morrell with two and Adam Lowe, a single. 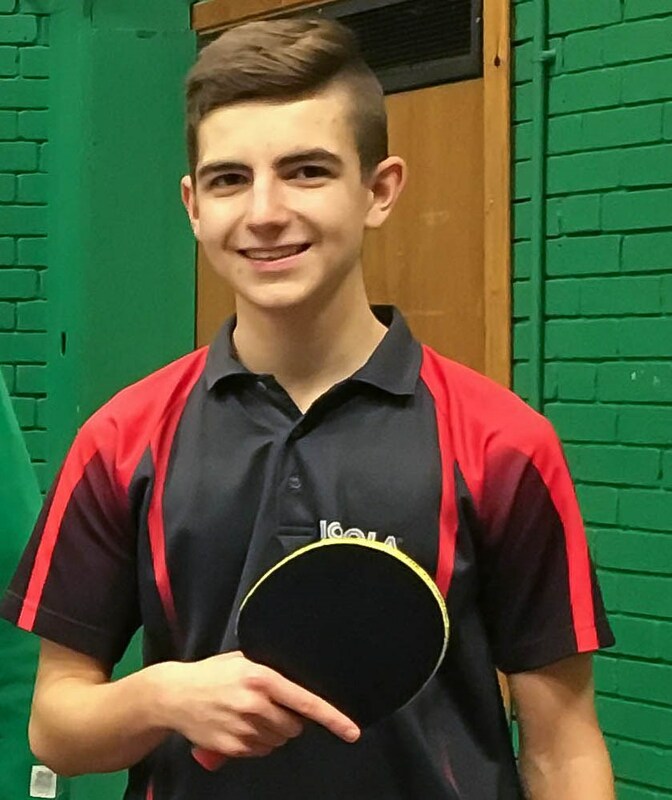 Hayden Wootton scored twice for Talentz and took the doubles with Rhys Williams. Williams added a further point from singles play.